An art book and tribute to the Andalusian great Sufi master Ibn Arabi. With the complicity of his friend, the Spanish writer Rodrigo de Zayas, who evokes the life of the ‘Master of love’, Nja Mahdaoui presents 60 graphic compositions and verses of Ibn Arabi glorifying the Love in its multiple assertions. The oceanic work of Ibn Arabi (1165-1240), knowned as the ‘greatest master’, concentrates on a word, a single word which is present in each of his poems and its mystic treaties: Love. 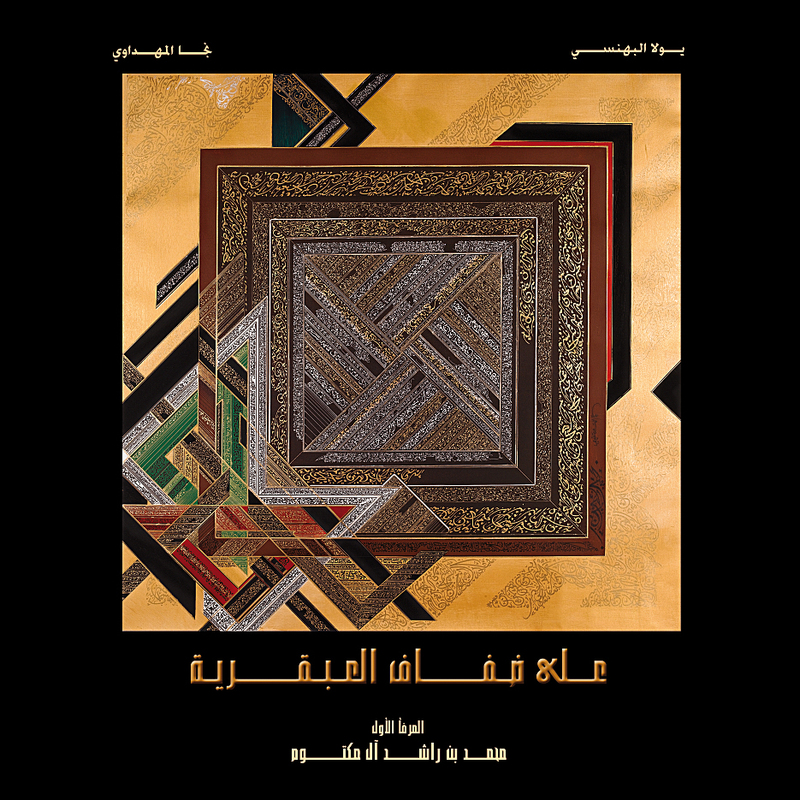 A book of correspondence and dialogue between Nja Mahdaoui and the Saudi novelist Raja Alem. An authentic poetic and plastic adventure combining Nja Mahdaoui’s graphisms to Raja Alem texts. Raja Alem is an active playwright, poet and novelist and is the recipient of several prestigious international prizes, as the International Prize for Arabic Fiction In 2011 for her novel ‘The dove’s necklace’. Raja and her sister Shadia Alem represented the Kingdom of Saudi Arabia for its debut participation at la Biennale di Venezia 2011. Nja Mahdaoui creates contemporary illustrations for a love story of the 1001 Nights: ‘The Tale of Ali Ben Bakkar and Shams an-Nahar’. unpublished into French, tells in fourteen Nights the impossible love between two young people. The work of Nja Mahdaoui masterfully accompanies the ‘funeral and triumphant march’ of this surprising tale. Nja Mahdaoui’s illustrations punctuate the movements of the text with wide black volutes, similar to the Arabic letters but meaningless. The color in its magnificence, evokes the wealth of fabrics and clothes. created by Nja Mahdaoui and realized in Lyon, by Paul Mabboux in 1992.